If you can’t find the answer to what your looking for, feel free to contact us! 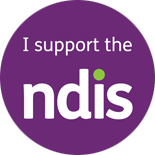 Ability SDA are an approved NDIS provider specialising in specialist disability accommodation. The directors of Ability SDA have extensive experience in the aged care, retirement and more recently the disability sectors. One of the supports that may be funded for some participants who have an extreme functional impairment or very high support needs is Specialist Disability Accommodation (SDA). SDA refers to accommodation for people who require specialist housing solutions, including assisting with the delivery of supports that cater for their extreme functional impairment or very high support needs. From 1 July 2016, eligible participants will have SDA funding included in their plan enabling them to source the SDA they require and choose from the market. How do I access SDA funding? I don’t qualify for SDA, how do I get accessible housing? If you have an NDIS Plan, but don’t meet the requirements for SDA/Informing Housing Solutions, you can still get help with housing. If you require home modifications to your existing home, you can talk to your planner or LAC about what you need. You can also ask your planner or LAC about how to get some assistance about exploring your housing options. People who live in areas that haven’t yet transitioned to the NDIS should use their existing supports to explore housing, or find a housing worker through a local agency to help them. What is the rent contribution towards the apartment? Rent will be set at 25% of the basic disability support pension plus 100% of commonwealth rent assistance. Tenants will also be required to pay for all utilities and food. Rent can be paid electronically via direct debit or a periodic payment. Yes – the landlord allows pets within reason, and subject to approval. Your lease will stipulate that only the participant can permanently occupy the apartment. Within this framework you will be able to have visitors stay (for extended periods) at your discretion. Villawood has no fire sprinkler. What is the safety and fire plan for apartment living? It is a requirement in NSW that a fire and safety evacuation plan is posted publicly in all new buildings. Each tenant will have an individual evacuation plan tailored to their situation. How do you exit the building in a fire situation or process for being trapped in a lift? All residents will follow their fire and safety evacuation plan that is posted publically within the building. Technology will assist to maintain communication with support staff during emergencies. What are the types of home and building modifications? Modifications will need to be considered and included on a case-by-case basis. The landlord will pay for building insurance. It is advisable for you to take out contents insurance to protect against the loss or damage of your personal possessions. How do I give feedback or report an incident? If you are successful and you occupy a new apartment, feedback or reports can be provided to either the SIL provider if it relates to supports or to the property manager if your feedback relates to the building itself. Do Ability SDA provide personalised support? No, Ability SDA is the accommodation (building) provider only. What type of 24/7 support do I receive? Shared overnight support will be provided by the appointed Supported Independent Living (SIL) provider as needed. Who will be the Supported Independent Living (SIL) service provider? Ability SDA are currently tendering to appoint a SIL provider with extensive experience and a passion to assist people to live independently. The appointed SIL provider will have an initial 2-year contract. At the conclusion of the 2-year period all residents within the building will have input as to the renewal of the SIL provider. Can I employ my own supports? Yes, with the exception of the Supported Independent Living (SIL) supports. As answered previously these supports are shared across the tenant group and provided by one SIL provider. Who is managing the Expression of Interest (EOI) process? Ability SDA has appointed Summer Foundation to manage the EOI process. The suitability and eligibility checking by the Summer Foundation is a Tenancy Matching Service undertaken during the EOI process to determine the suitability of the applicant to the type of vacancy. Do I share all my support with other tenants? Only the overnight support will be shared. The EOI moves through three stages. These are the eligibility/suitability checker, the completion of the EOI form and evidence provision and the panel presentation. The SDA provider makes a decision about the successful tenants and a letter advising of the outcome from the SDA provider will be sent to all applicants as soon as the process is completed.